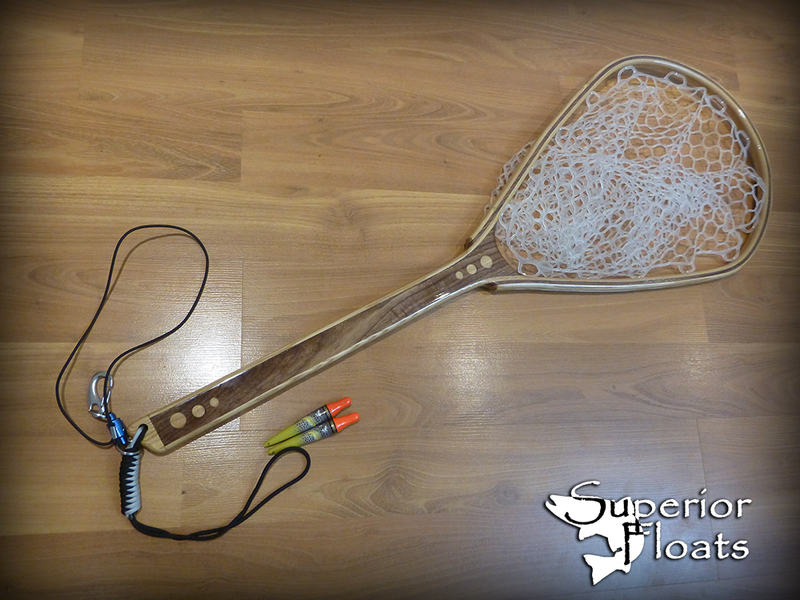 I have begun making custom wooden landing nets as a hobby but quickly realized they are quite nice and of a high quality. 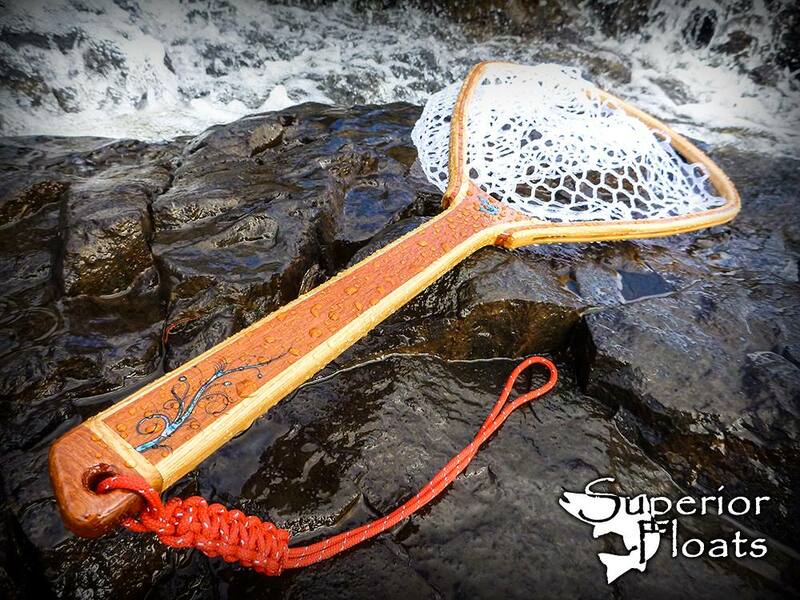 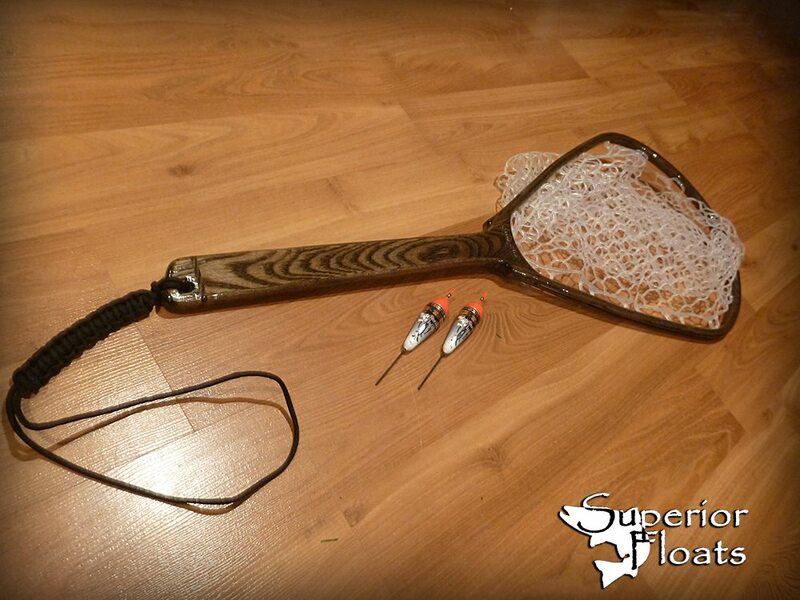 Since you've already begun to harmonize your drift with a Superior Float why not complete the setup with a custom wooden landing net. 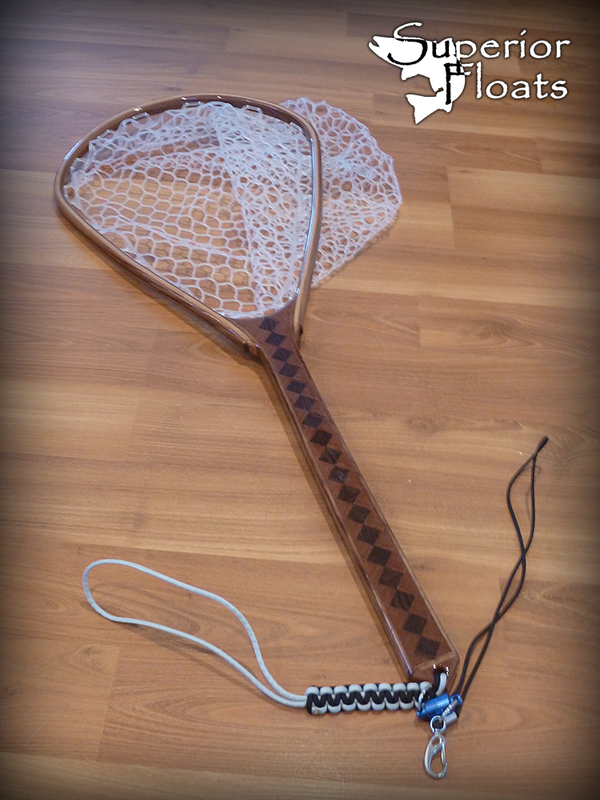 Below are some examples of nets I have made. 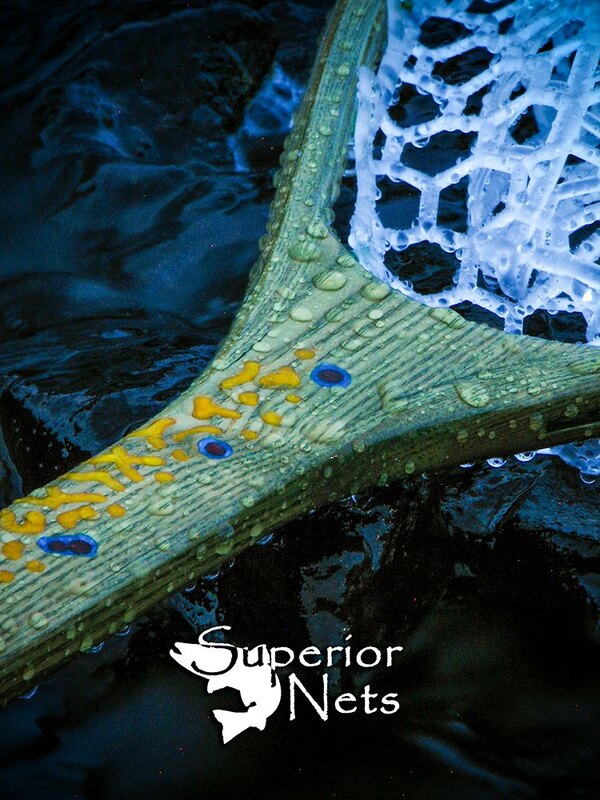 I am not going to carry a "line" of nets but I will be open to custom orders. 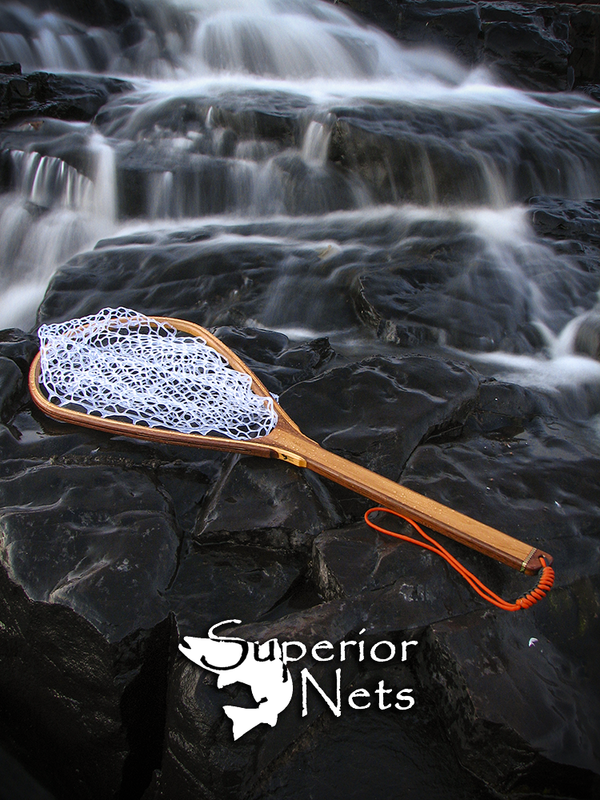 I'll just make the net I want to make and make them available for purchase. 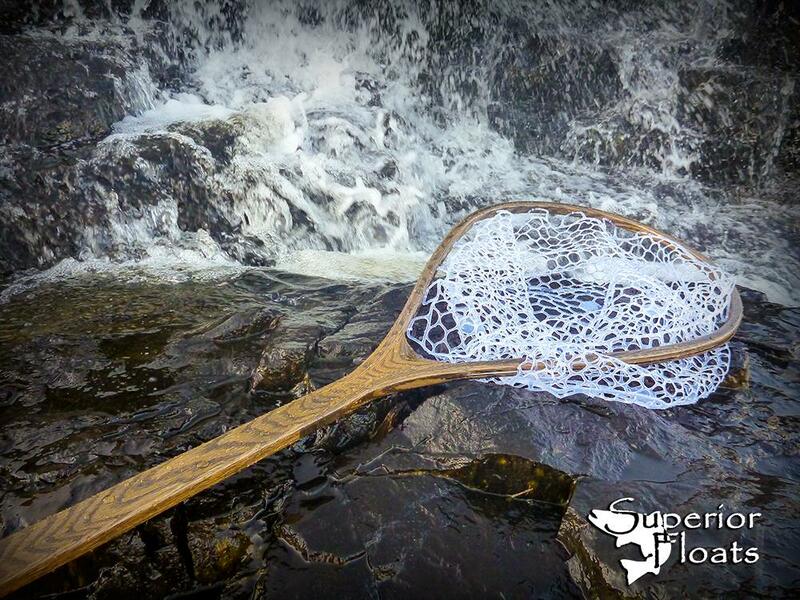 This way I can keep it fresh and stay inspired to make the net I want to make. 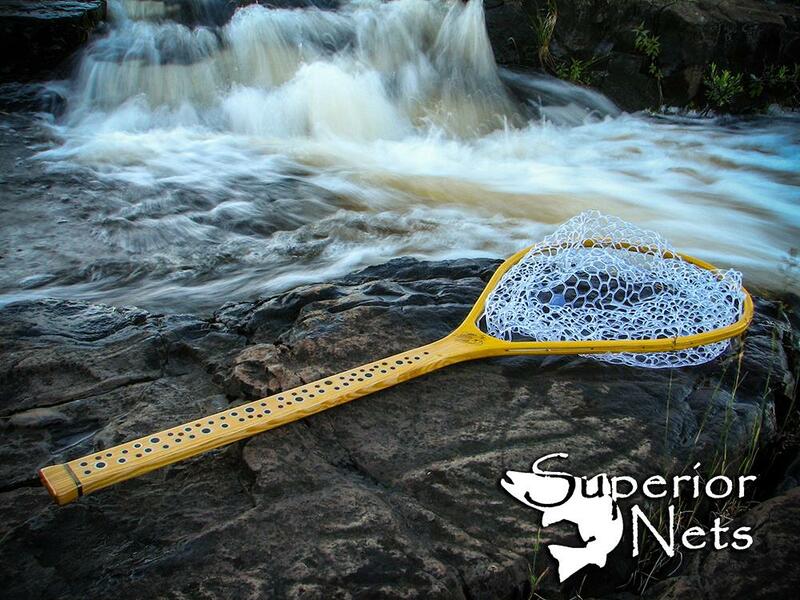 Stay tuned for available nets. 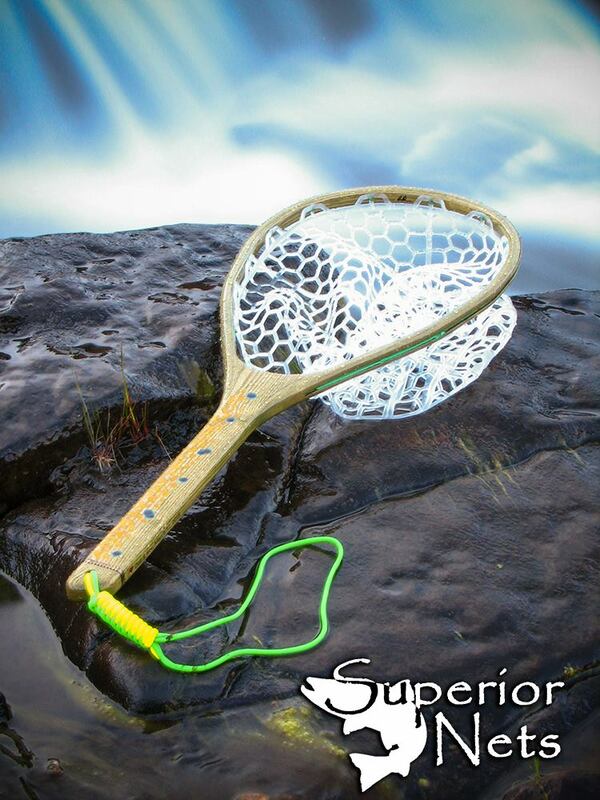 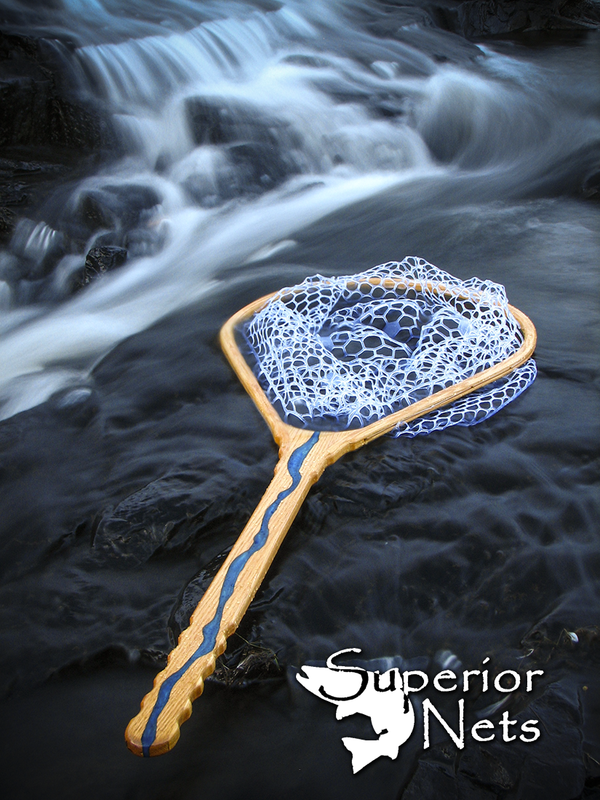 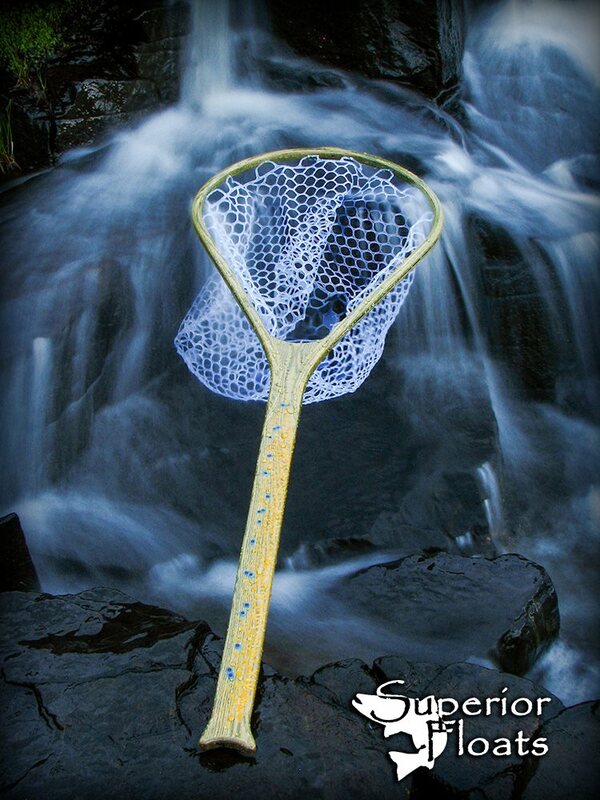 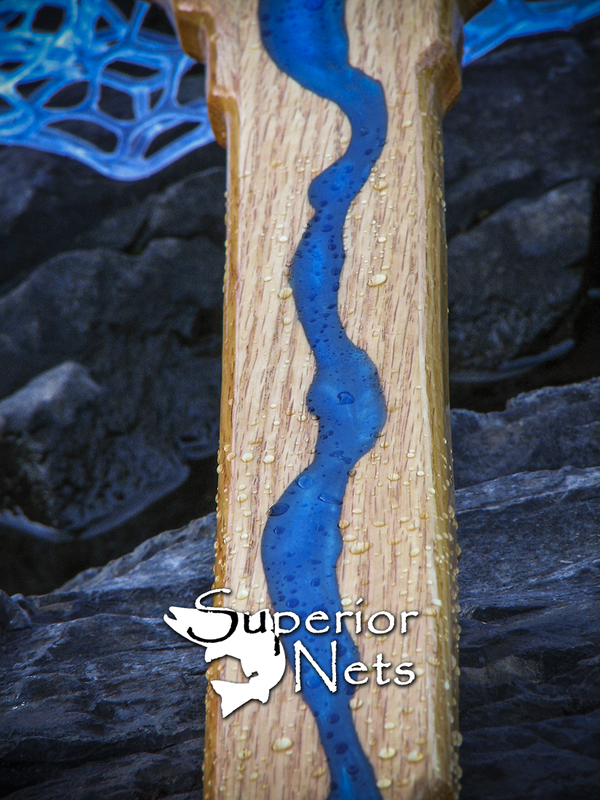 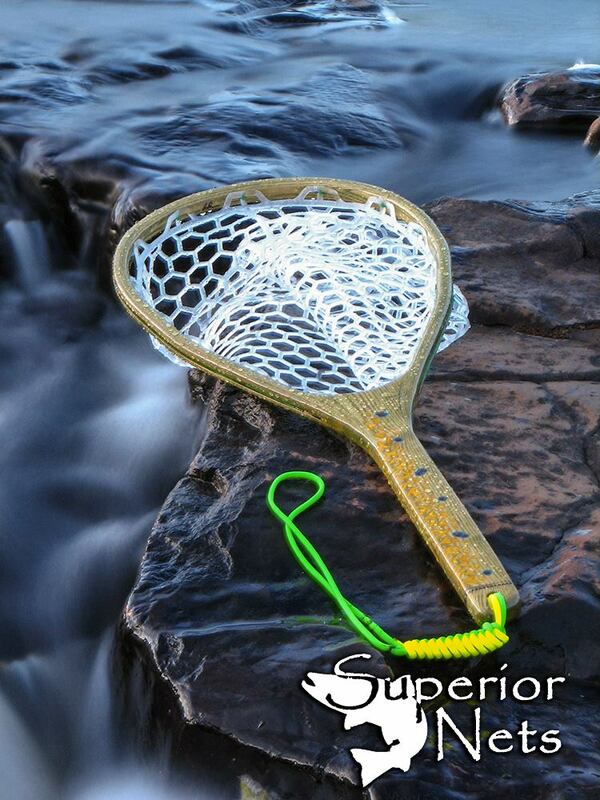 This all Oak net features an iridescent blue epoxy river flowing down the entire length of the handle. 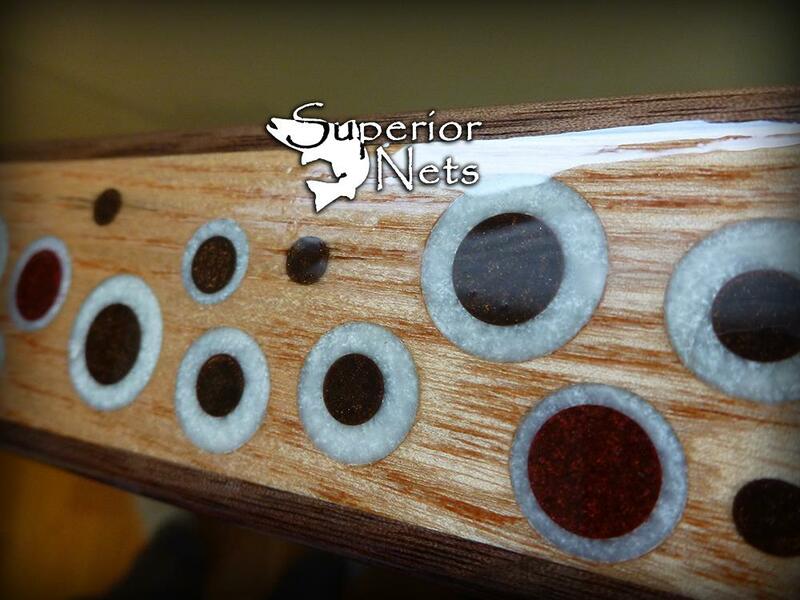 This all Oak net features iridescent white, bronze, and red epoxy inlays. 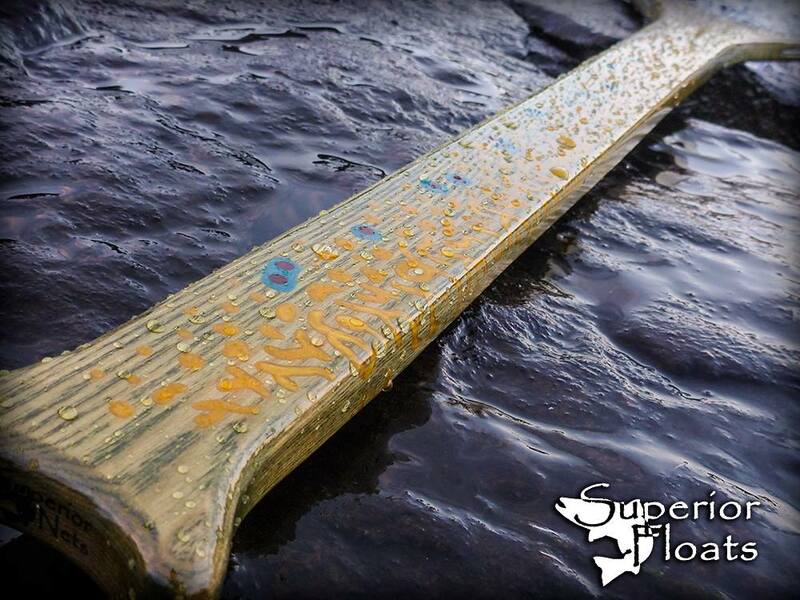 The frame was stained yellow and then partially removed on the handle to give the grain a yellow POP. 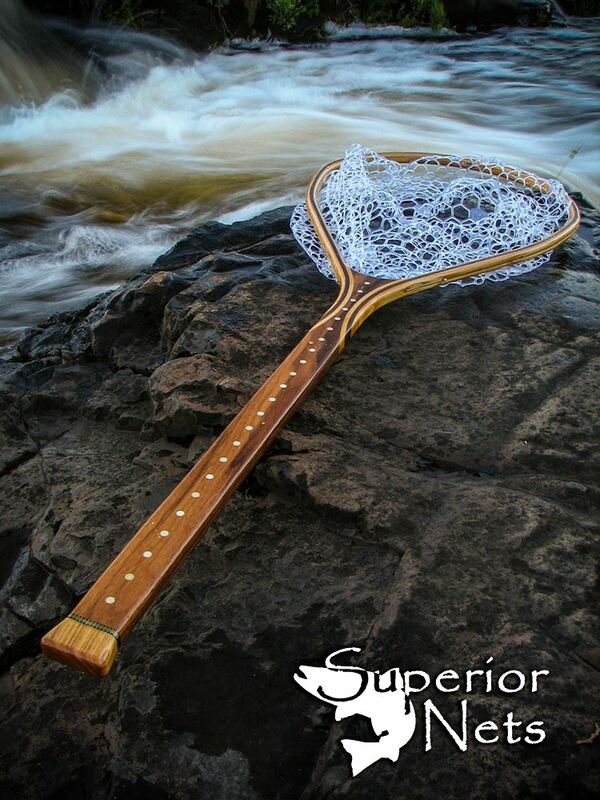 Hoop Inside Diameter: 15 1/4"
Shown is an Ash handle with an Oak hoop. 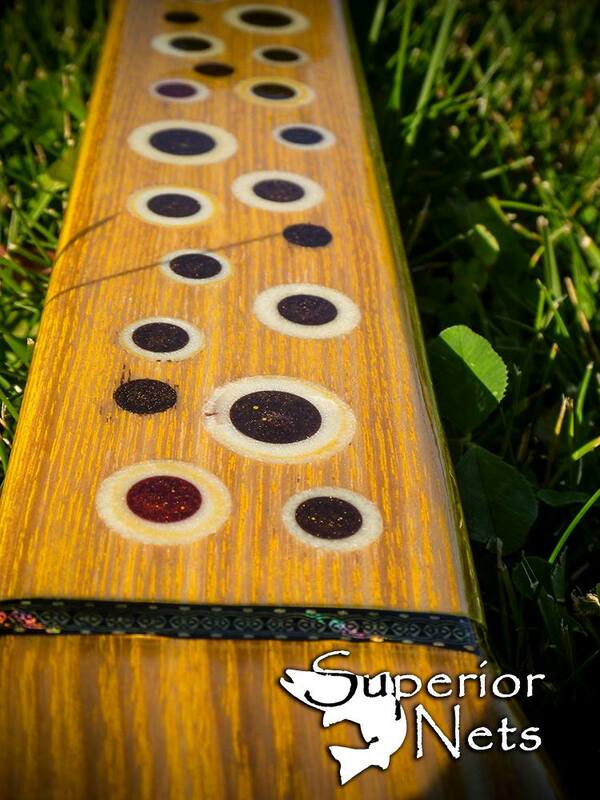 The Inlays are an iridescent epoxy. 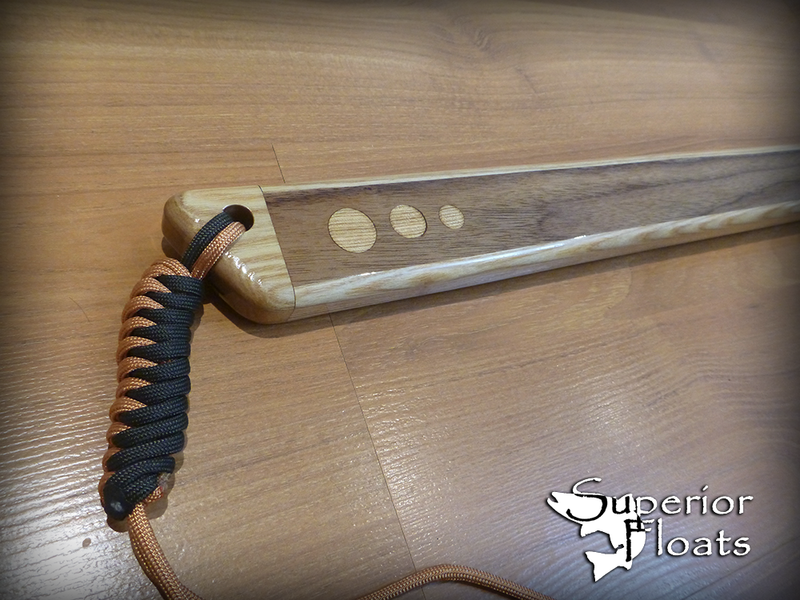 Shown is an Oak handle with an Oak hoop. 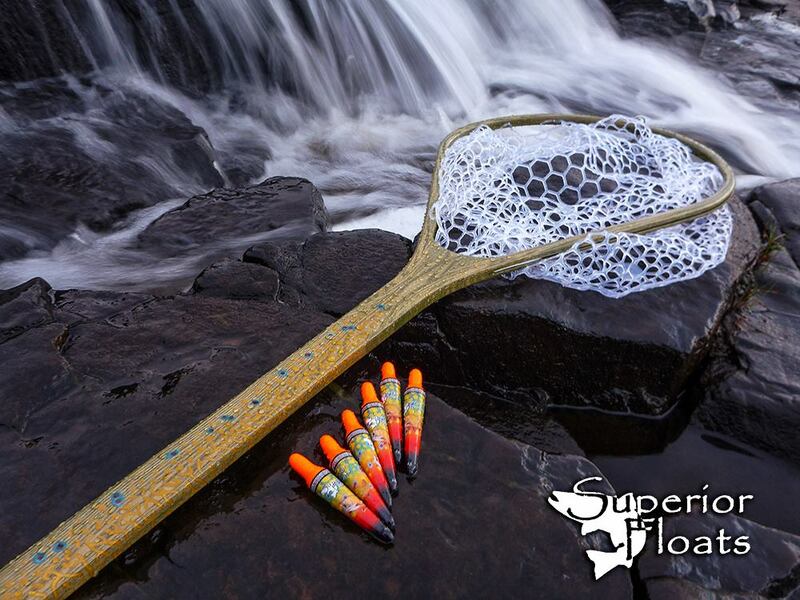 The Inlays are an iridescent epoxy. 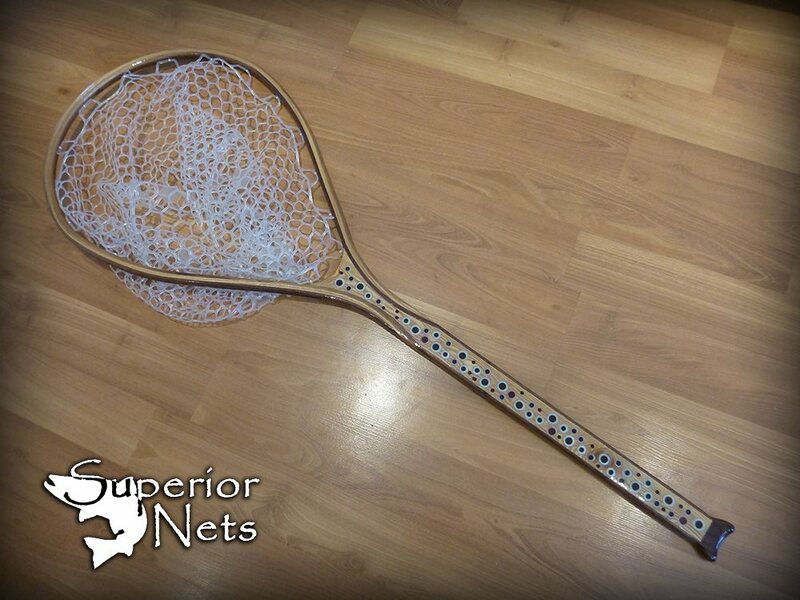 Hoop Inside Length: 14 1/2"
Hoop Inside Diameter: 8 1/2"
The hoop is Walnut with an Ash inner laminate. 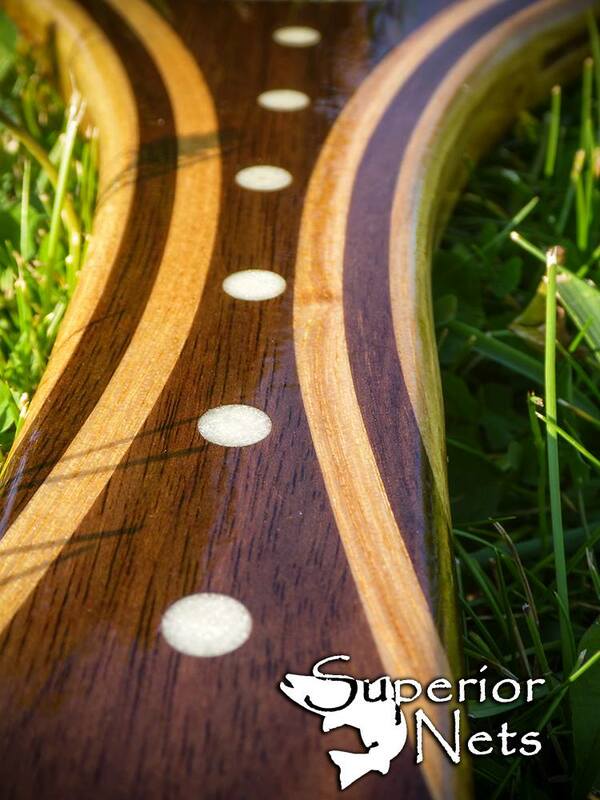 The handle features iridescent white, bronze, and red epoxy inlays. 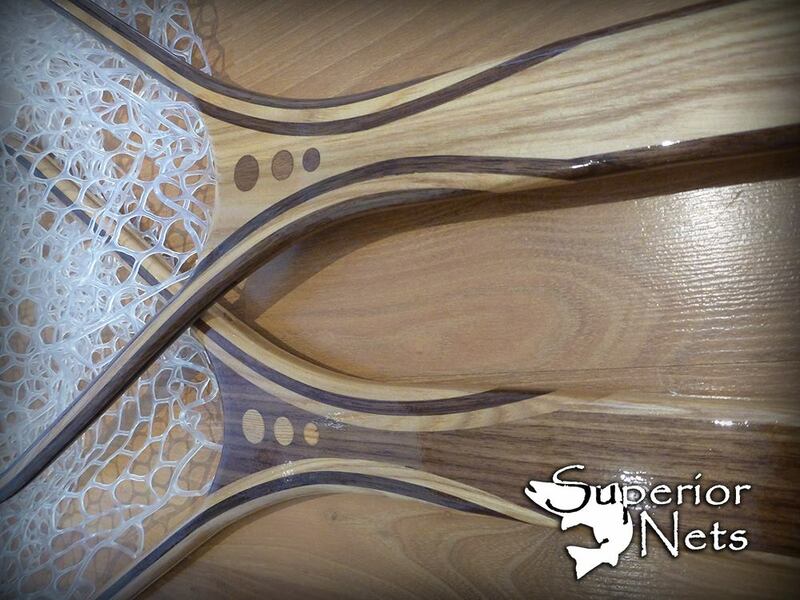 Both nets are made with Ash and Walnut. 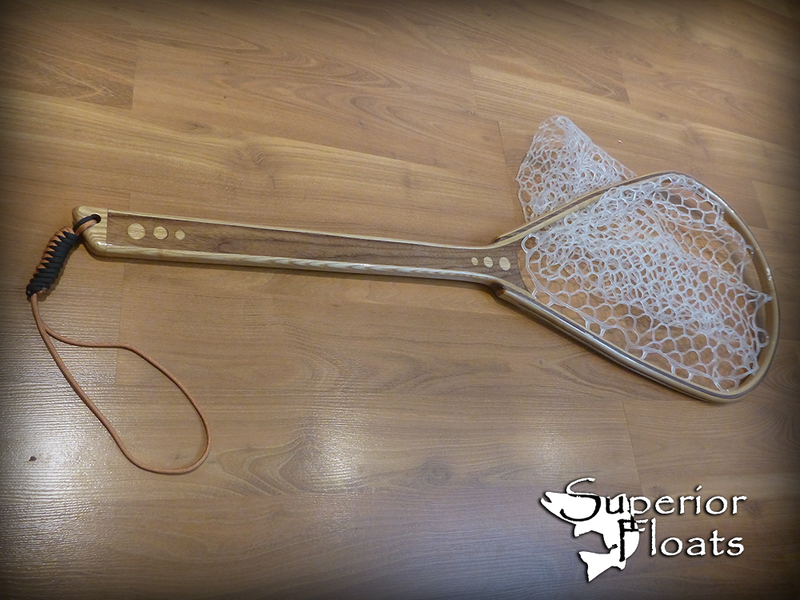 The hoop is Ash with a Walnut inner laminate. 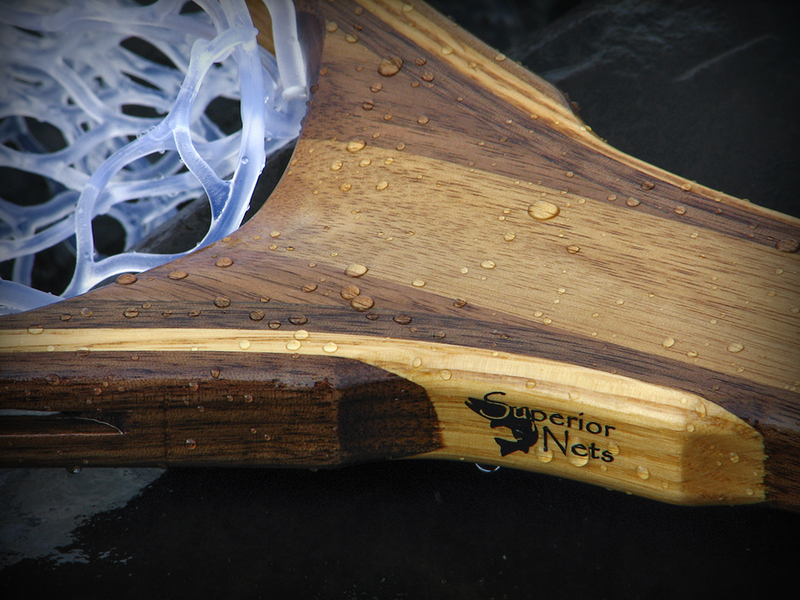 The handle has an Ash core for strength and Maple burl veneers. 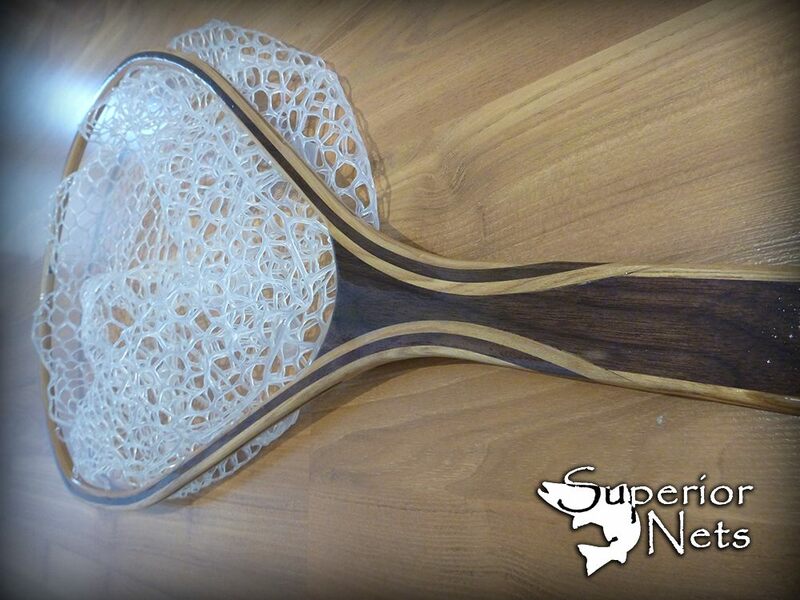 The hoop is Ash with a Walnut inner laminate. 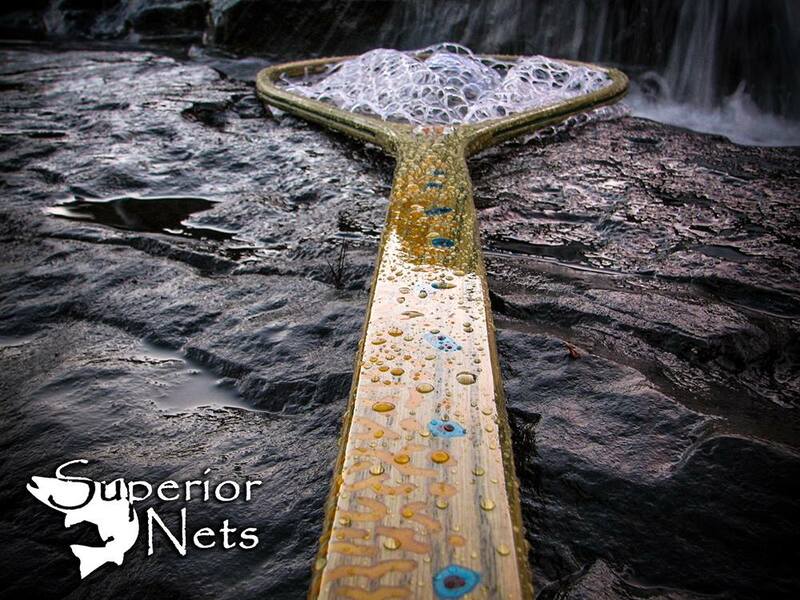 This net also comes with a magnetic quick release built into the hoop. 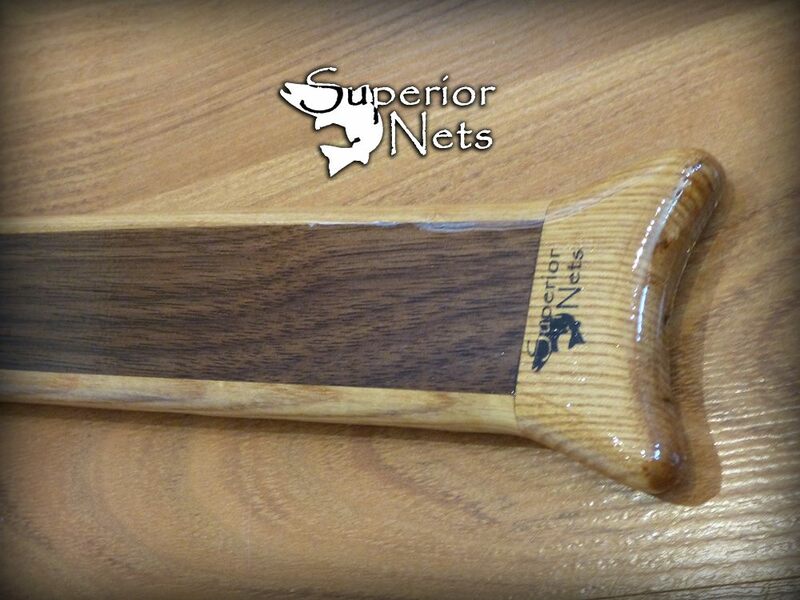 Shown is an Ash handle with an Oak hoop. 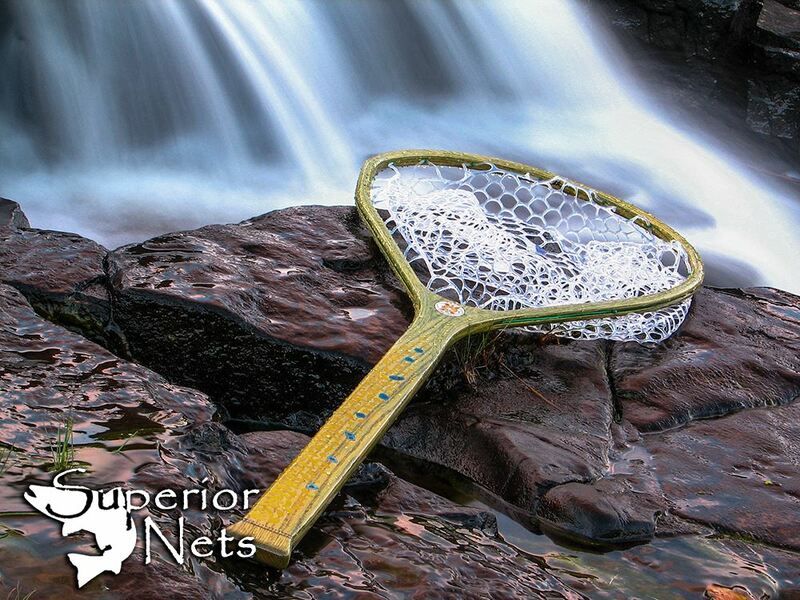 This net also comes with a magnetic quick release built into the hoop. 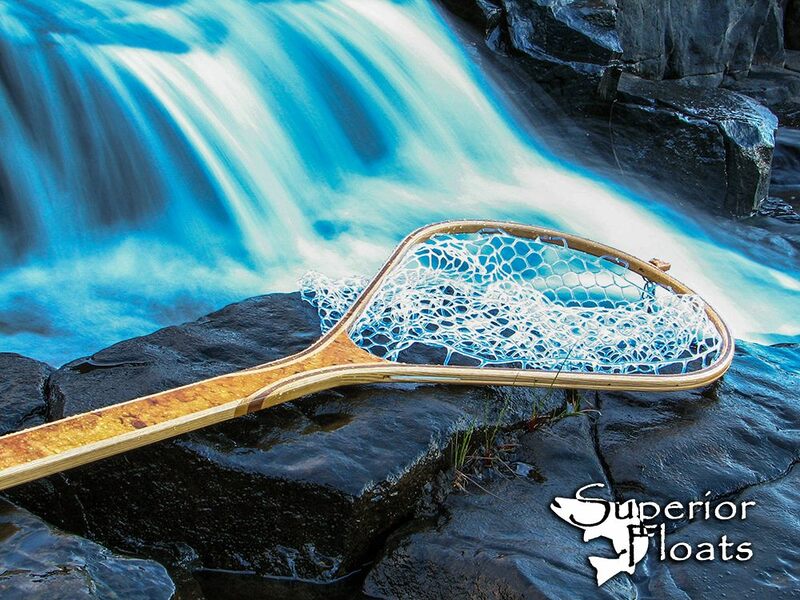 The Inlays are an iridescent epoxy. 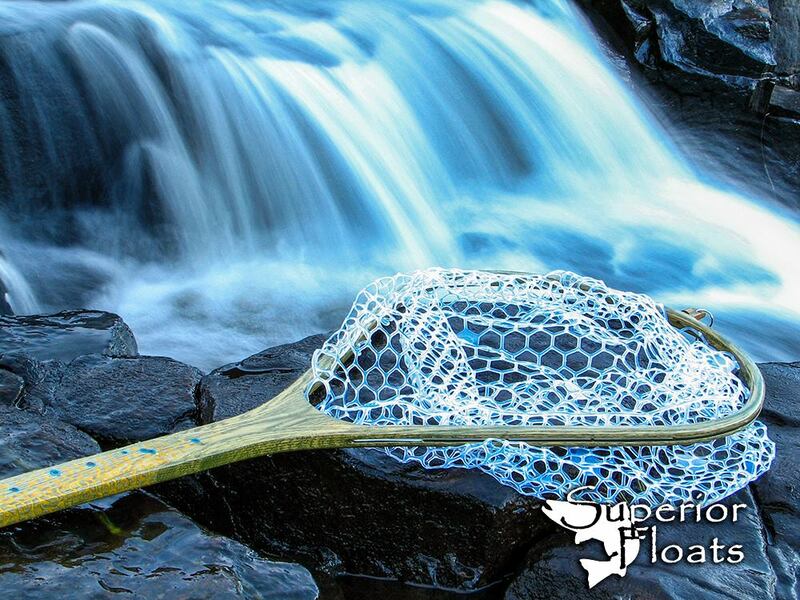 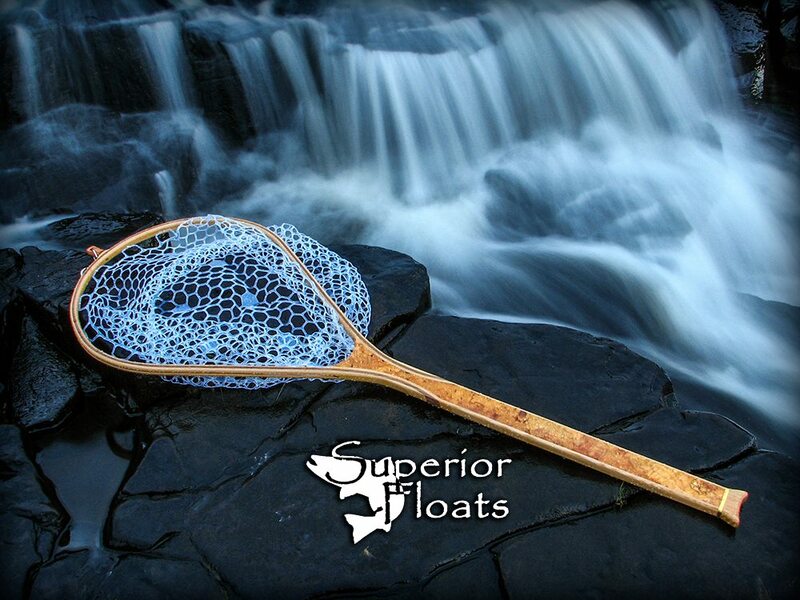 This custom Float Tube Net was created for a client as a gift for her father. 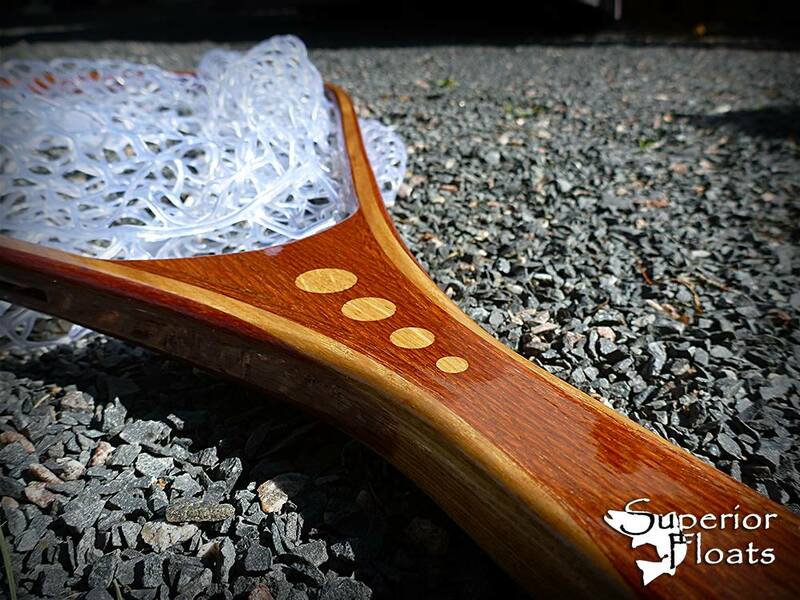 She wanted a clean design and to have her Dad's nickname put on. 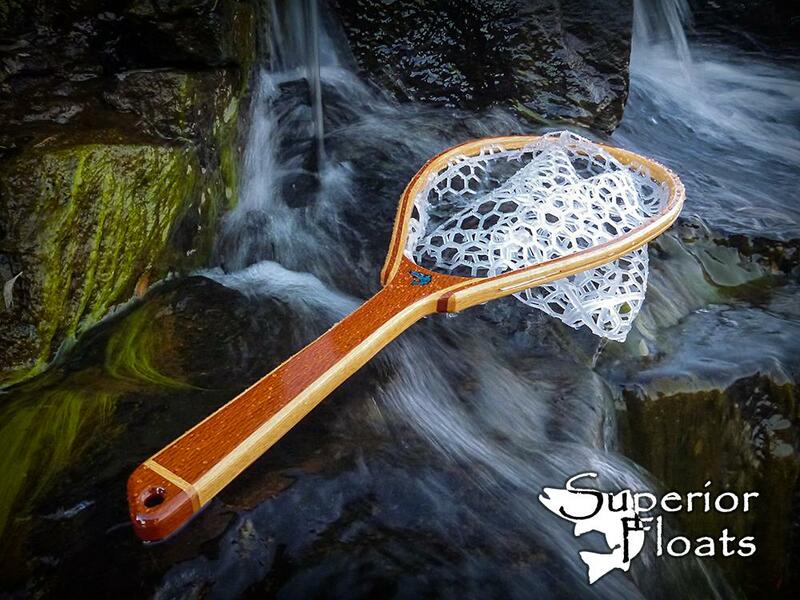 I choose Ash as it is a very clean wood with an eligant grain. 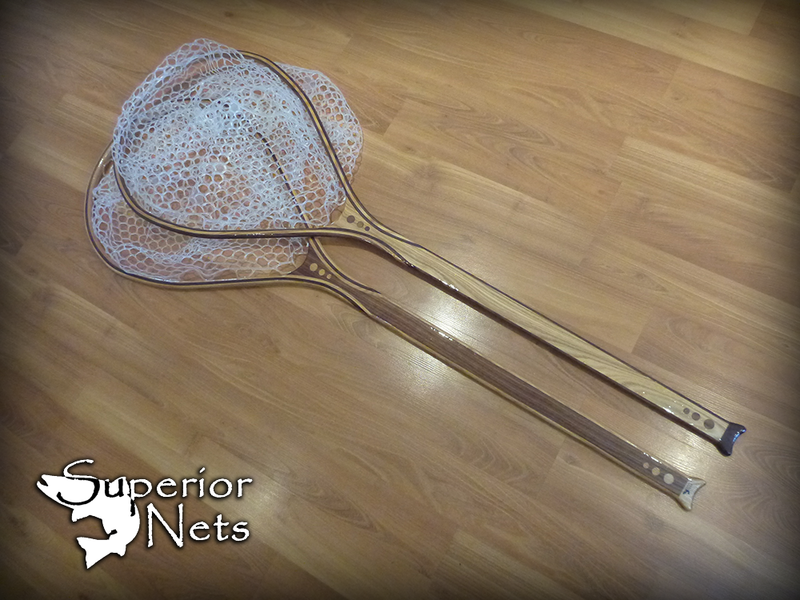 This net also has some very subtle Oak inlays up near the base of the hoop. 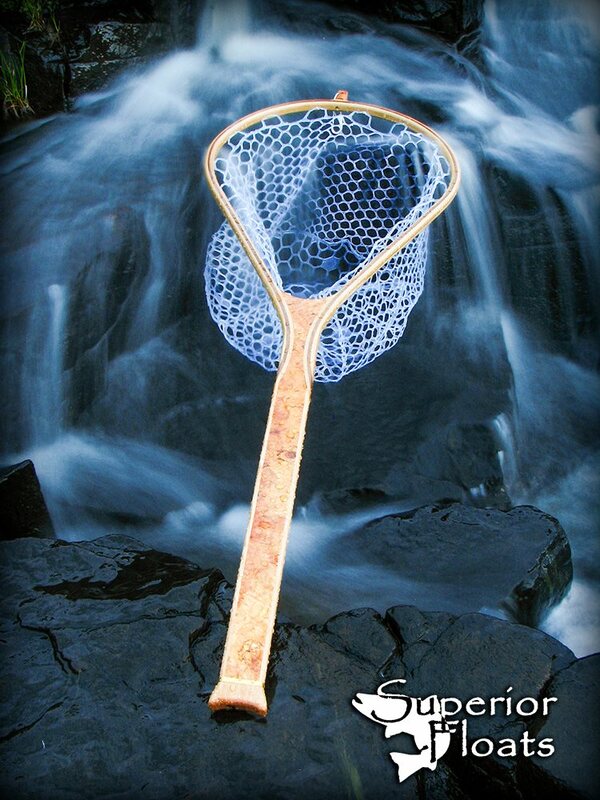 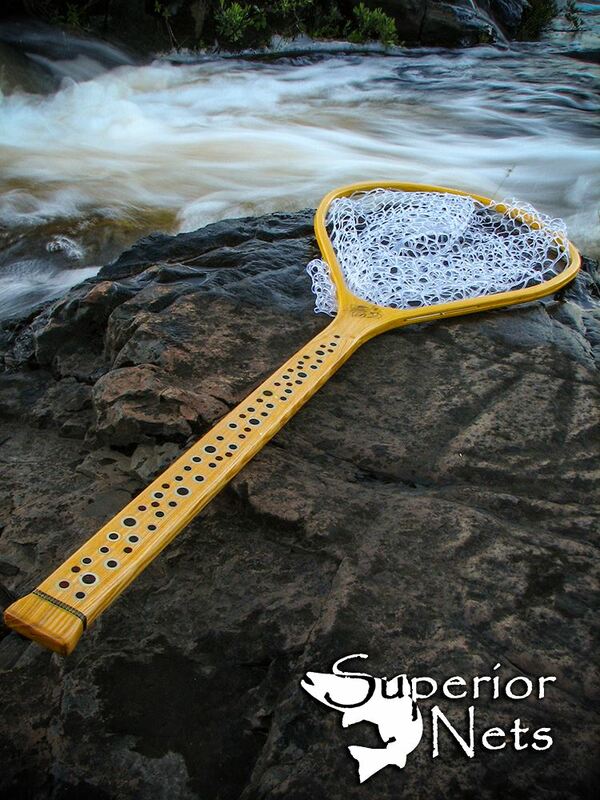 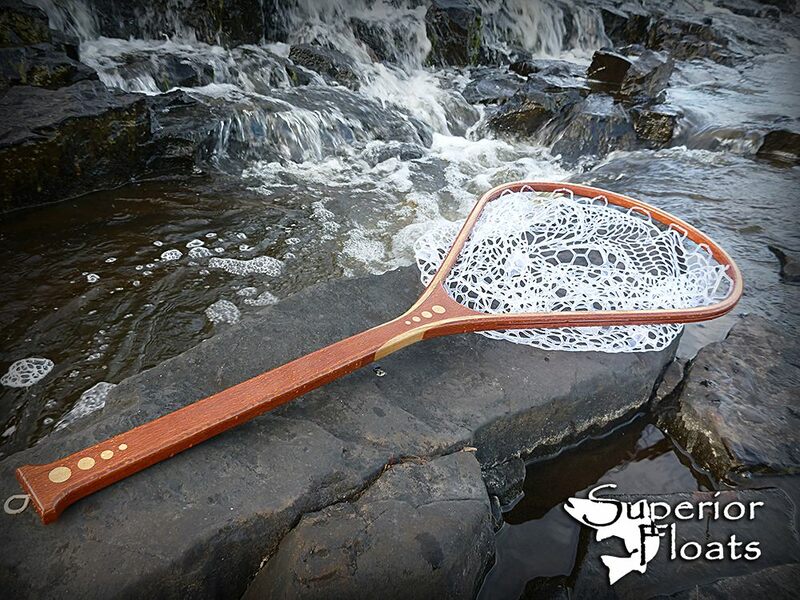 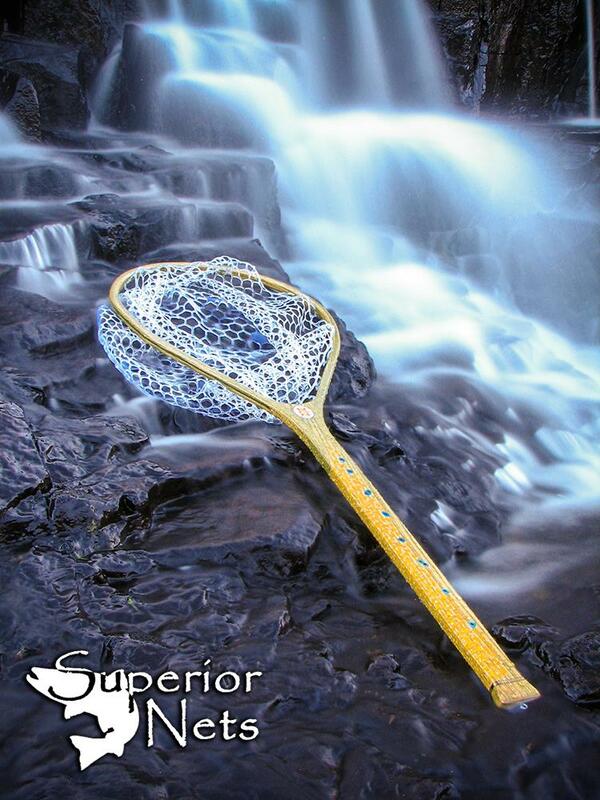 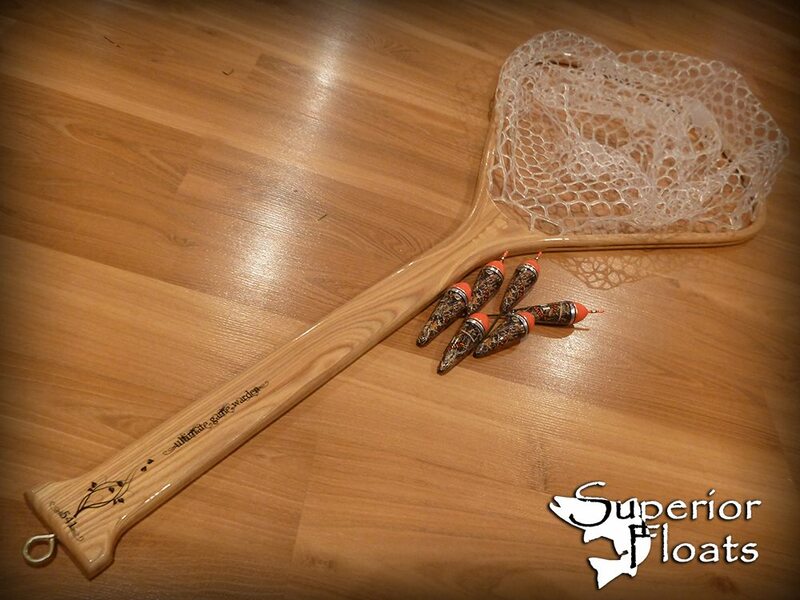 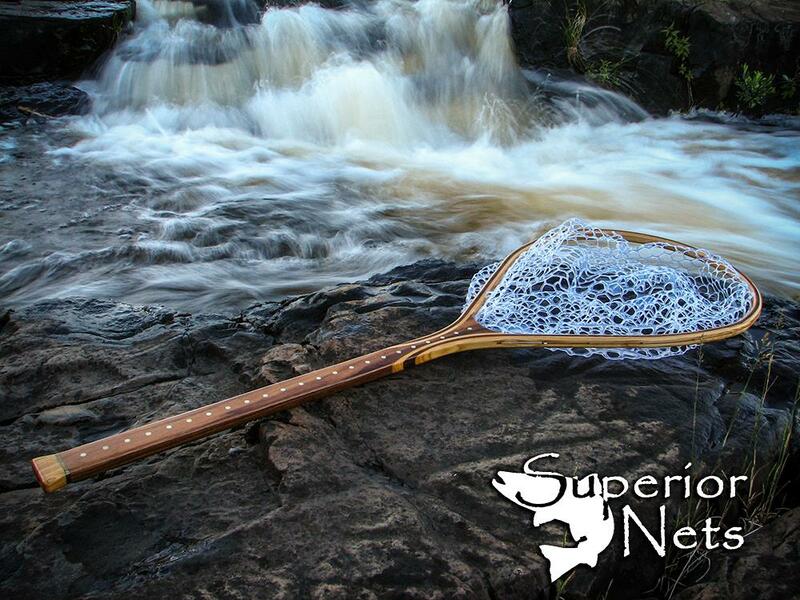 This is a custom Ash River Net that was stained with a dark ebony. 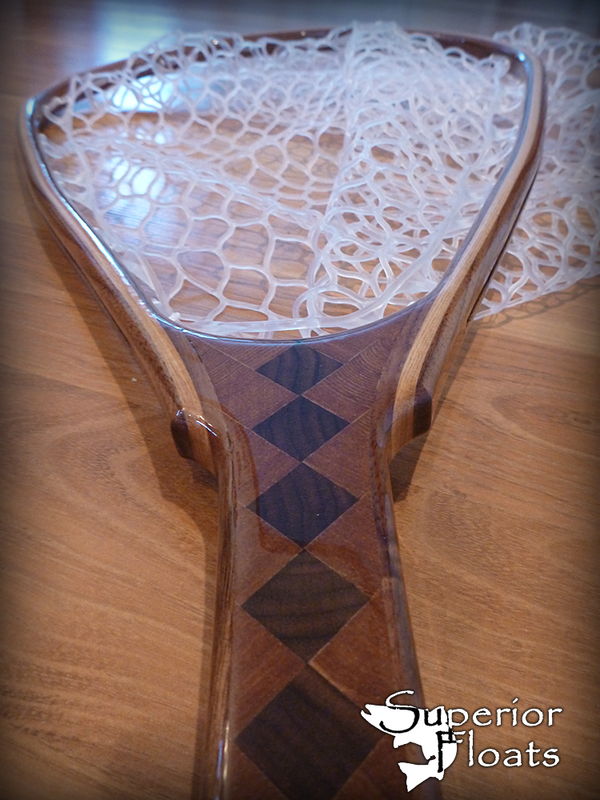 Shown is a Lacewood handle trimmed with Ash laminates. 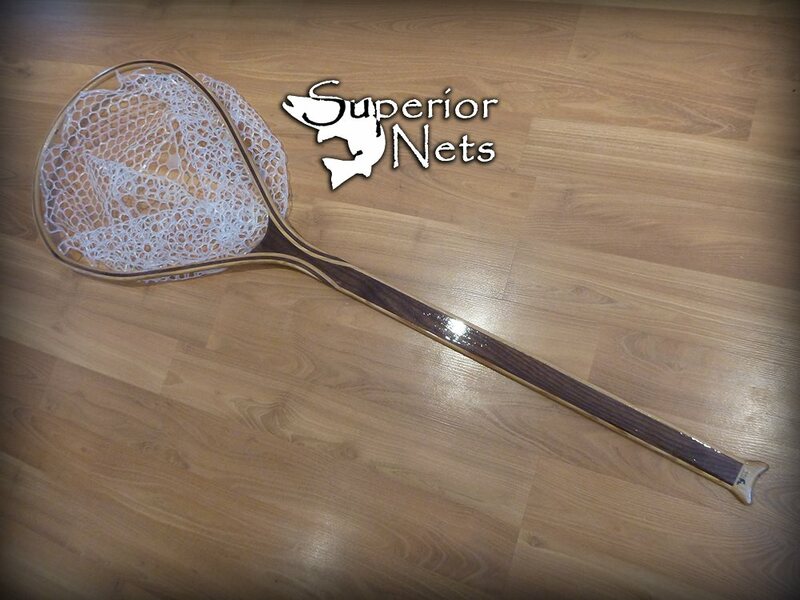 There are abalone decals applied to this net. 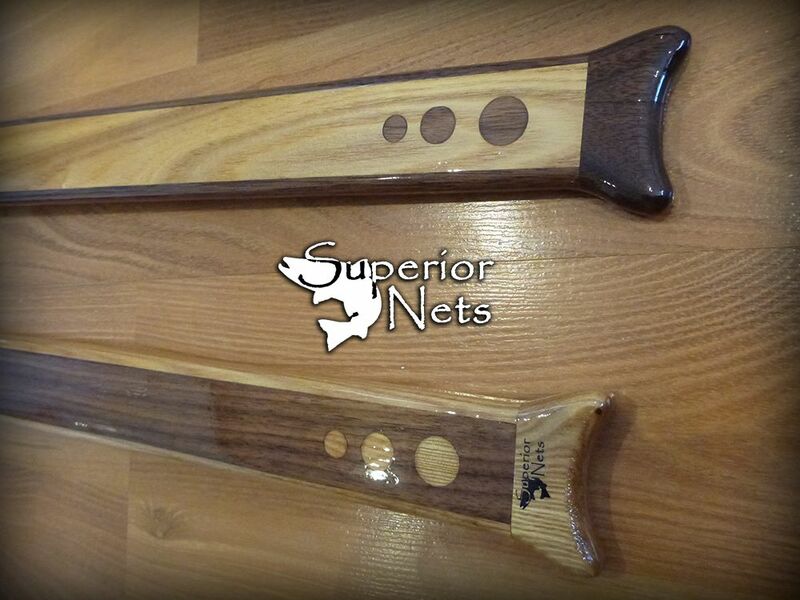 Shown is a Lacewood handle trimmed with Oak laminates. 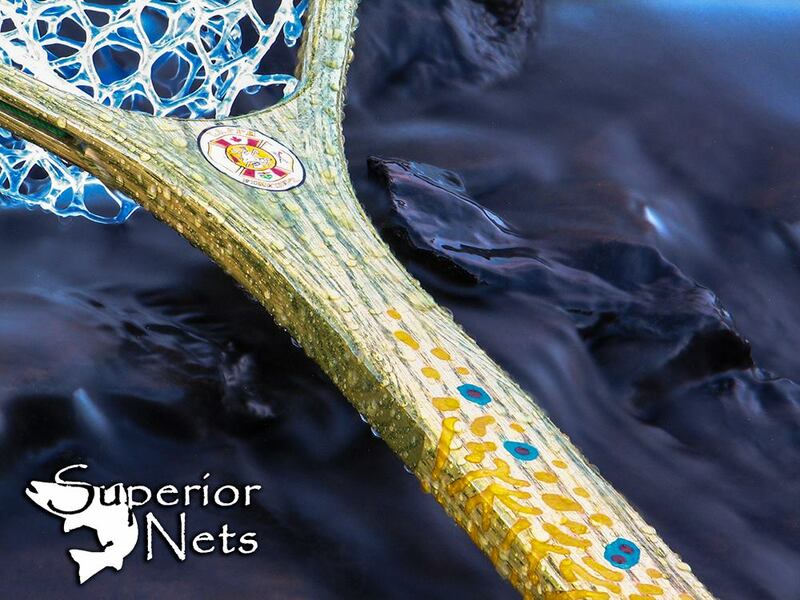 There is an abalone trout decal applied to this net. 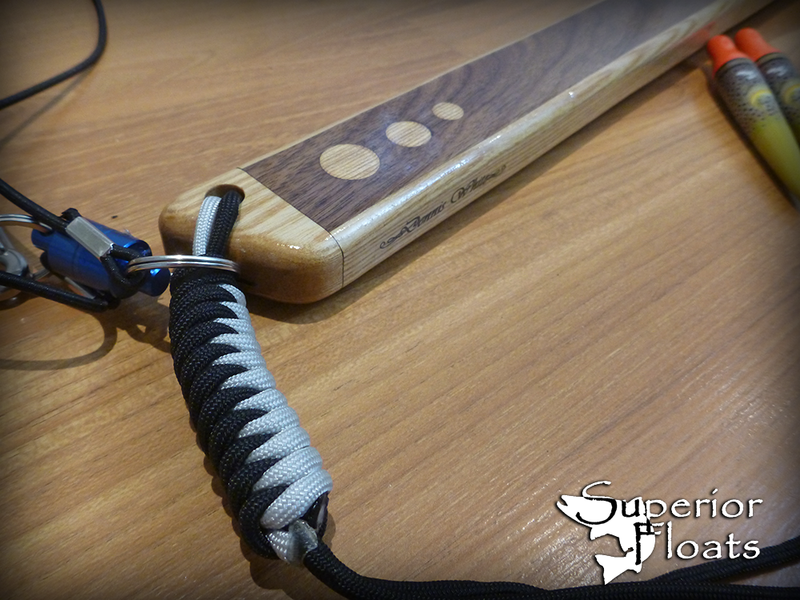 Shown is a Lacewood handle with an Oak middle laminate and some Oak inlays. 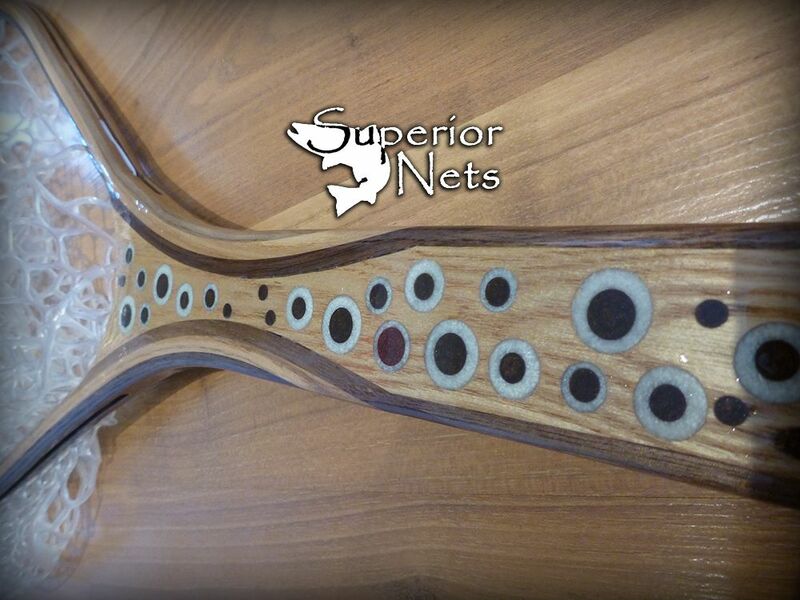 Shown is an Oak handle with an Ash accent laminate in the hoop. 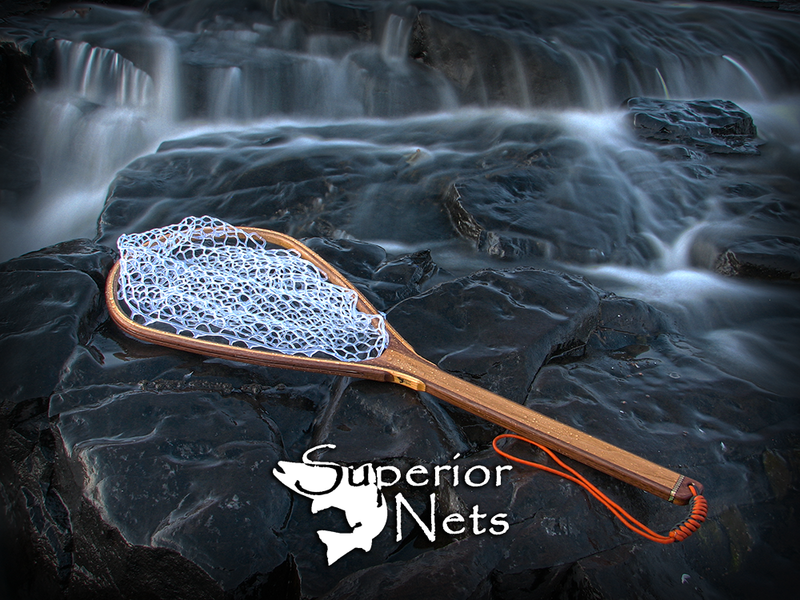 This net received a light coat of ebony stain.